Tinnitus is more commonly reported by Adults but the same condition can exist in children as well. Children are more likely to dismiss tinnitus as they may consider it a normal activity of the ear or they may not be able to articulate their concerns due to their age or the complexity of the concepts. Tinnitus is an internal perception and cannot be heard by others. Tinnitus will take the same acoustic perception as tinnitus in adults that consists predominantly of high pitch ringing or buzzing sounds. Other tones may be heard and more rarely it can be a low pitch roaring perception such as may occur with Meniereâ€™s disease. Tinnitus may be constant or episodic and is usually masked by environmental noise and thus not always noticeable until a quiet period of the day such as at bedtime. In any given individual the causation of tinnitus can be difficult to determine and may never be known with certainty. Some may be transient and others may be permanent. The most common association is that with sensorineural hearing loss and hence amidst adults. Other factors to consider are noise exposure (inclusive of MP3 players), infections (viral and bacterial), and drug reactions such as from high dose aspirin, ototoxic medications (e.g. chemotherapies or mycin group antibiotics) and head/ear traumas. Deep ear wax accumulation can also be a tinnitus trigger. If your child reports hearing buzzing or ringing sounds in their ears which persists then visiting an audiologist or discussing it with their doctor is advised. A thorough history can help identify possible causes and to test if their removal improves the condition. Further investigations may help to try and map the frequency of the tinnitus and its perceived loudness, although in children this task may be more challenging. It is important to keep your concerns muted so as not to create a circumstance where the child is constantly checking and listening to their tinnitus. Therapies exist to treat tinnitus. Currently they do not remove the tinnitus but are proven to be effective in reducing the disturbance experienced by the tinnitus patient as well and reducing any intolerance to sound generally. The common treatments involve counselling and sometimes use of a masking noise. Masking devices are usually reserved for those who are experiencing significant disturbance. Sound Therapy is used for tinnitus treatment in adults and may have some application with children as well. 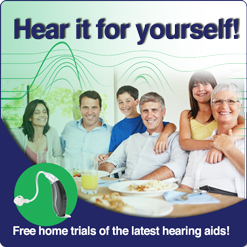 Hearing aids worn for hearing loss can also help mask tinnitus whilst they are worn.